Our SUPER ULTRA WIZELITE™ 2 flameless rechargeable candles are of commercial grade and they are the affordable solution that will create the perfect ambience in any establishment. 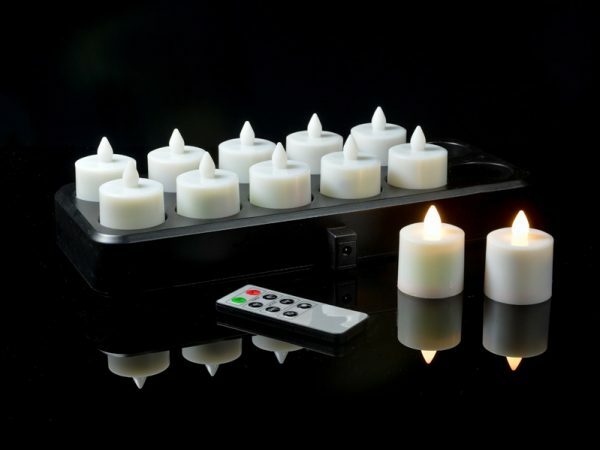 This set is packed with value and extra features like a daily timer, and remote control, providing you with the best candle system. 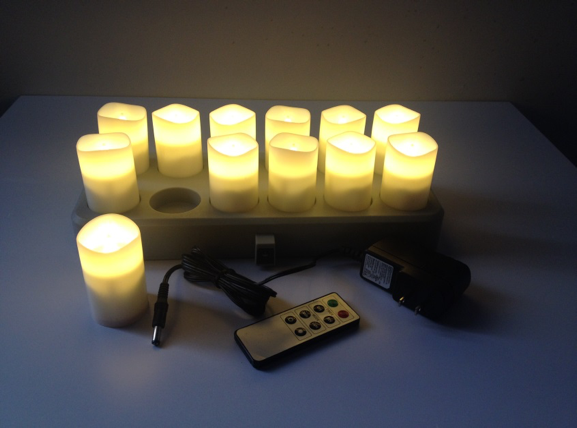 The induction charging station provides for the easiest connection of any rechargeable candle system. Simply place the candle on the charger and it starts charging – no pins or locks. You can also easily connect up to four (4) charging stations together using only a single adaptor. The remote control comes with a timer auto-off function 4, 6 or 8-hour option, selection of brightness level and on – off selection. 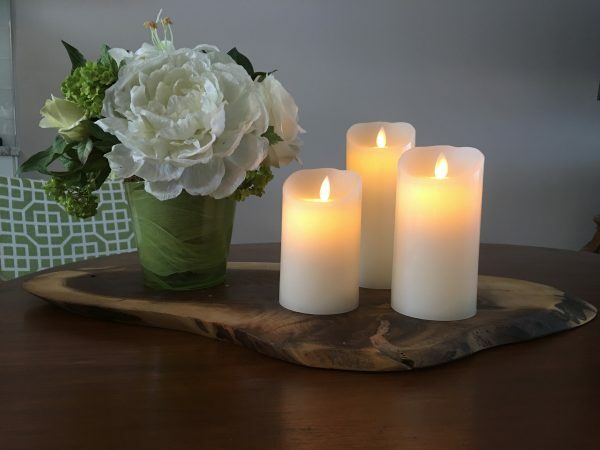 The candles can be set to flicker like a real candle or to just radiate the natural light. 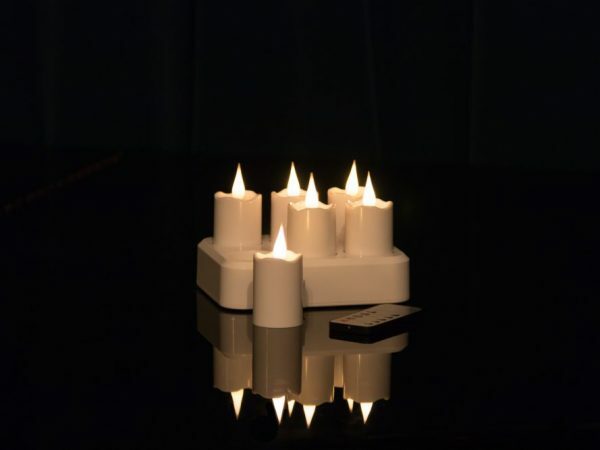 The flame-shaped tip produces a natural glow and flicker and the simple and elegant body of the candle construction works with nearly every candle holder. Each candle comes with a charging indicator light. A red light on a candle indicates that the candle needs to be charged. 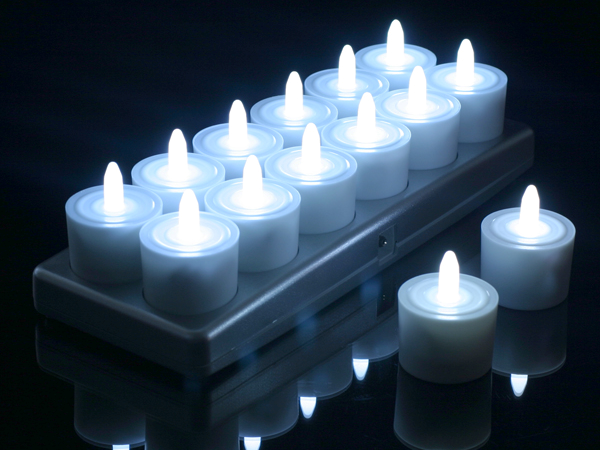 The candles are fully charged once the red indicator light turns green. 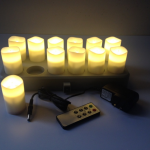 This system helps to simplify the charging process by identifying which candles need charging.